Written by: Jiří VašekCan’t keep up with modern technology? Wondering if you should buy a digital camera now, or wait a few months for the next generation? Perhaps paradoxically, the internet can provide some guidance. This site covers the whole spectrum of information technologies, including mobile networks. 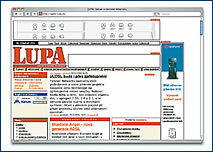 Under the term “udělátka” you will find the latest technological toys, but updated internet news leads the way. Users can also find the best tariffs for switched or fixed connections in this country, including novelties planned by the GSM operators. Separate subsections, such as hardware and software, are sufficiently informative, and the link to Windows is interesting, as it reveals advice and tricks for improving the operating system. A vast archive of articles and an exchange with supply and demand of the most varied technologies comes in handy, too. The most-visited site for mobile phone technologies, from A to Z. Four new, well-grounded articles are presented daily. In addition to reviews, detailed evaluations, comparisons of handsets in terms of parameters, options, and prices, this site also has links to presentations by mobile manufacturers and operators. Other hot sections include the advice column and forum, downloadable manuals, and a dictionary with explanations of specialized terms. If you register with MobilMania, you will receive all the news from the field via e-mail. 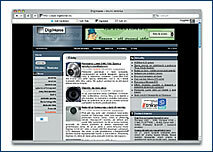 One of the oldest news sites dealing with mobile communication, and part of the www.iDnes web site alliance. Although colorful, with high-quality photographs, it’s aimed at the mainstream, with a poor showing of specialized information. In addition to tests, reviews, comparisons of individual handsets, and tips about interesting novelties, this site devotes a surprising amount of space to the operators and their press releases. Each month 180,000 people visit this site devoted to market research in electronics, such as DVD players and digital cameras. Updated reviews dominate annotations of novelties arranged according to date of release, and are well balanced in terms of text and images. The site can also help you choose a camera; all you have to do is enter the criteria of the desired model into the table, and if you don’t know it, you can find out the basic groups of digital cameras and the types of work they’re suitable for. A dictionary of terms will turn you into an expert in a few minutes. Core content on this site includes original articles and commentaries that supplement the information service. Additionally, Lupa will advise you as to where and how to get your own domain and how to set up a wireless connection using ISDN technology. Of course you can find information on how to create web presentations, and many addresses and ideas are connected with web design, multimedia, programming, and hosting. In the chat section internet professionals and enthusiasts share their opinions, while the burial ground section holds unsuccessful or out-dated projects. 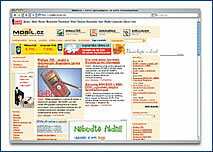 Part of the financial web site penize.cz, offering an extensive catalog of discount coupons. Once printed, you can use them at the given shops or for certain services. In other countries, about 30% of internet users avail themselves of this system. An online folder for digital photos you want to have printed. Just fill in the questionnaire, and then send the data from your digital camera. You can track your order over the net, and arrange delivery by mail or courier. This on-line recipe book offers 2,710 recipes for salads, dressings, appetizers, and dishes made with milk or legumes, spreads, desserts, etc. Many of the recipes come with photos, and the dictionary of terms is also interesting. A purely Czech search engine with an English-sounding name, which not only offers search information but can also decline and conjugate nouns and verbs, thanks to its unique linguistic module. The database is updated daily. – Wireless communication is today’s most frequently repeated catchword. Bluetooth is leading the crowd of equipment that works together invisibly. While mobile phones communicate via infraports, which require clear line-of-sight paths, Bluetooth is transmitted through up to 10 meters indirectly. This is made possible by a small chip that was cooperatively developed by Ericsson, Toshiba, IBM, Nokia, and Intel. The chip allows wireless communication between, say, a printer and a notebook, or a hands-free earpiece and a mobile phone. Bluetooth is the most widely used type, but the WiFi standard – considerably faster, but also more expensive – is hot on its heels.